Summer is here and we've prepared Summer Watermelon Event for you! How Can I Participate in the Summer Watermelon Event? Speak to Puss the Cat in any town to learn more about the Watermelon event. He will also trade you Nectar for seeds and Chrono weapons. Get Nectar, which is dropped by monsters around the world. You will use the Nectar to grow Watermelons or to exchange for seeds or Chrono weapons with Puss the Cat. Nectar is tradable. Watermelon Seed: Purchased from Puss the Cat for 1 Nectar. Used to grow regular Watermelons. Tradable. Honey Watermelon Seed: Purchased from Puss the Cat for 50 Nectar. Used to grow Honey Watermelons. Tradable. Cloned Watermelon and Cloned Honey Watermelon Seeds: Dropped from monsters. Used to grow Watermelons or Honey Watermelons, respectively. Not tradable. Use 5 Nectar to grow a Young Watermelon or a Young Honey Watermelon into its mature state. Either type of young Watermelon must reach maturity within 3 minutes, or it withers and returns to the earth. When mature, a Watermelon or Honey Watermelon transforms into one of three different kinds of Watermelon or Honey Watermelon (respectively): Spoiled, Rain, or Large Rain. Smash the mature Watermelon within 1 minute and 30 seconds. You can smash a Watermelon without a special weapon. You need a Chrono weapon and help from your friends to smash a Honey Watermelon. Chrono weapons can be purchased from Puss the Cat for 10 Nectar each. Chrono weapons look and sound like musical instruments. They are tradable. Reap your reward from the particular smashed Watermelon! What Are the Different Kinds of Watermelons and Their Rewards? These Watermelons drop only Nectar. Young Honey Watermelons sprout from Honey Watermelon Seeds. If you use 5 Nectar on a Young Honey Watermelon, it matures into one of three different Honey Watermelons. Honey Watermelons can be smashed only by Chrono weapons. Honey Watermelons are hardy, and you are more likely to successfully smash a Honey Watermelon within the time limit of 1 minutes and 30 seconds by grouping up with friends. Crystals: A-Grade/S-Grade: A crystal of A or S grade. Tradable. Gemstones A/S: A gemstone of A or S grade. Tradable. Healing Potions: Greater Healing Potion, Greater Quick Healing Potion. Tradable. Greater Elixirs of CP: All grades. Regenerates CP. Tradable. Greater Elixirs of Life: All grades. Regenerates HP. Tradable. Greater Elixirs of Mental Strength: All grades. Regenerates MP. Tradable. Giant's Codex/Oblivion/Discipline/Mastery: Giant's Codex basic, Oblivion, Discipline or Mastery. Tradable. Scroll: Enchant Weapon A/S: A scroll of Enchant Weapon A-grade or S-grade. Tradable. Blessed Scroll: Weapon Enchant A/S: A blessed scroll of Enchant Weapon A-grade or S-grade. Tradable. Blessed Scroll: Armor Enchant A/S: A blessed scroll of Enchant Armor A-grade or S-grade. Tradable. High-Grade Life Stone Level 67/70/76/80: A high-grade life stone of level 67, 70, 76 or 80. Tradable. Top-Grade Life Stone Level 67/70/76/80/82/84: A top-grade life stone of level 67, 70, 76, 80, 82 or 84. Tradable. Red/Green/Blue Soul Crystal - Stage 14/15/16: A red, green or blue soul crystal of stage 14, 15 or 16. Tradable. Chocolate Cookie: A cookies that fully replenishes your vitality. Not tradable. XP/SP runes: Time limited runes that will increase XP/SP rate for your character. Not tradable. Time limited Queen Ant's Ring/Zaken's Earring: Epic jewels with 15-day duration period. Not tradable. There's also chance that Honey Watermelon will drop additional head accessory or Agathion bracelet! 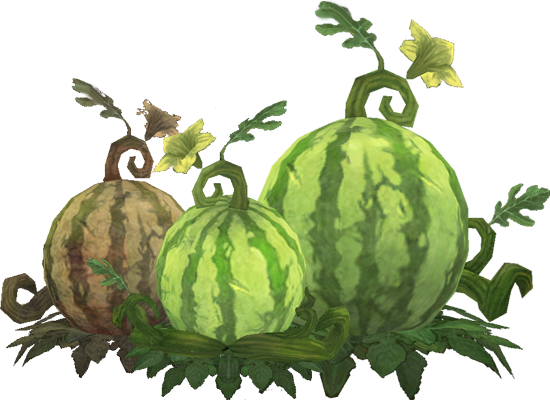 The Summer Watermelon event runs from July 16 to August 13, 2018 (08:00 UTC+2). Nectar and Cloned Seeds drop from monsters from July 16 to August 6, 2018 (08:00 UTC+2). Puss the Cat remains in towns until August 13, 2018 (08:00 UTC+2).